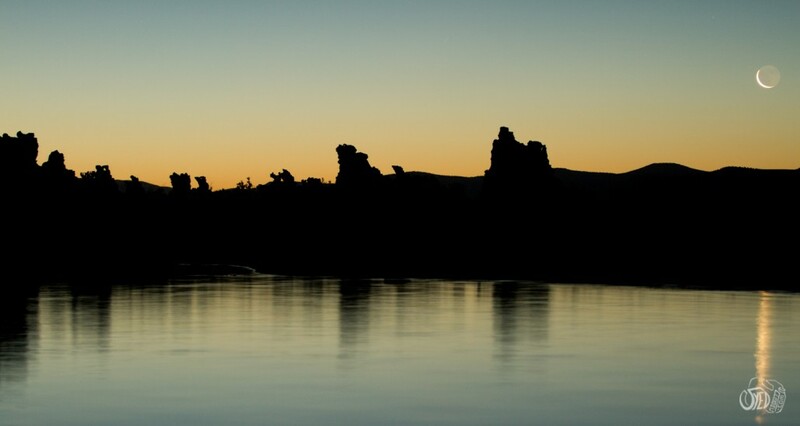 Mono Lake is not only popular among photographers, thanks to the formation of “tufa towers” but also bird watchers as its home to over 300 species of migratory birds. The lake got on my list of must-shoot-sunset-n-sunrise-here places recently. The reason I made a trip to this place almost as soon as it got on the list was because it’s (only) 250 miles away from where I live, the scenic/shooting area is relatively small so it can be photographed in couple of hours or in a single weekend and I only planned to shoot during the golden hour. 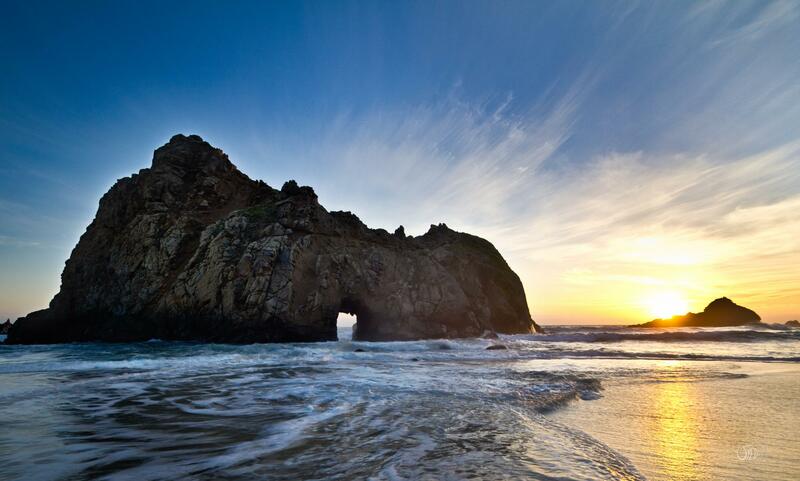 Plan:Access to the islands is restricted between April 1 and August 1 to protect bird habitat. So if you are planning to kayak to the islands be sure to plan your trip accordingly. Keep a few things in mind while planning a trip to this place, time of the year is important depending upon what you want to shoot. 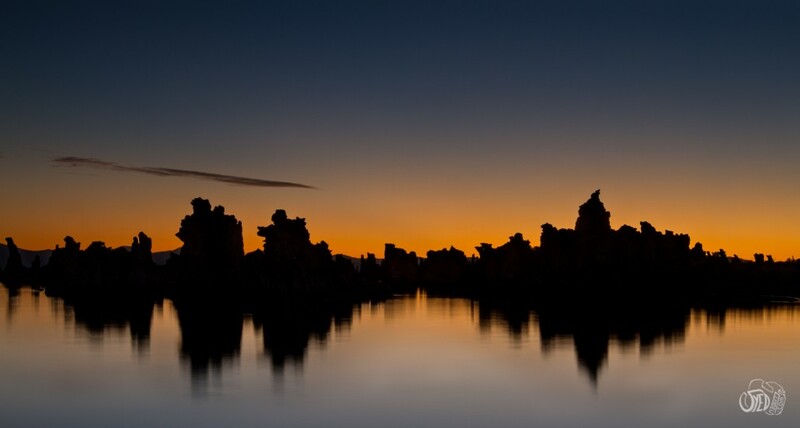 This place is known to be beautiful during winter with snow-topped tufa’s. If you like taking pictures with celestial objects in the backdrop spend some time researching the time and location of Sunset/Sunrise, Moonset/Moonrise, star formations, constellations and if you are planning on doing star-trails, I highly recommend looking up north star. It goes without saying, keep up with the weather alerts. If you are planning on shooting at night as discussed above, pick a night with clear skies and obviously avoid a rainy or a super-hot day. 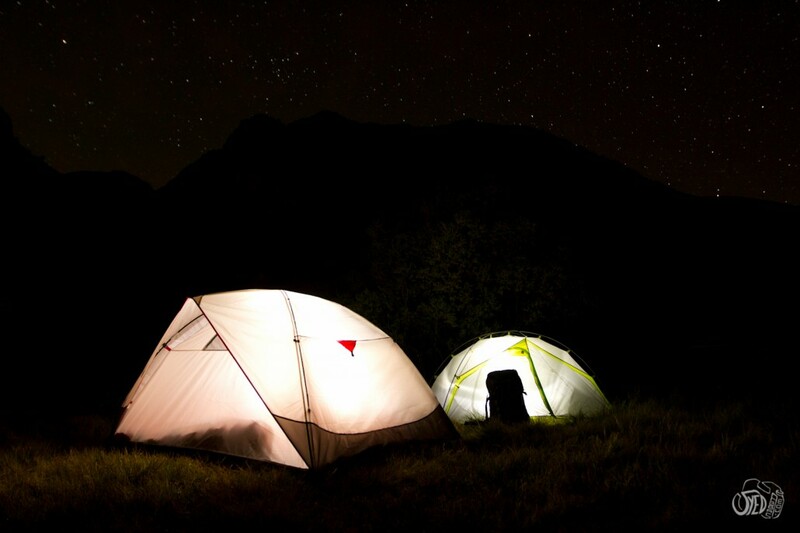 I’ve recently discovered – Yep, I am a newbie – camping is one of the best ways to experience the nature as it should be. 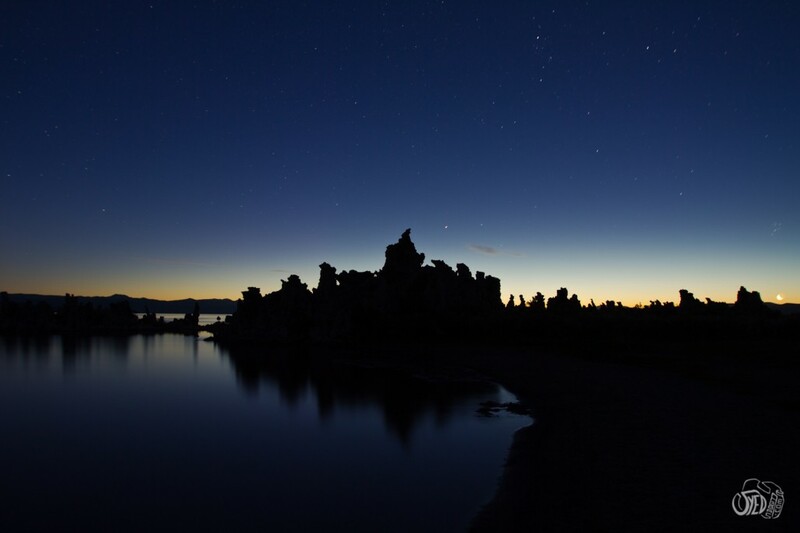 As expected, camping is not allowed on the lake bed or the scenic area, however, dispersed camping is allowed in the scenic area above the exposed lake bed lands. Also, if you are planning on dispersed camping, make sure you reach the visitor center before 4:00pm every day to get your camping permits otherwise you’ll have to spend the night at a paid camping ground which isn’t a bad option at all. 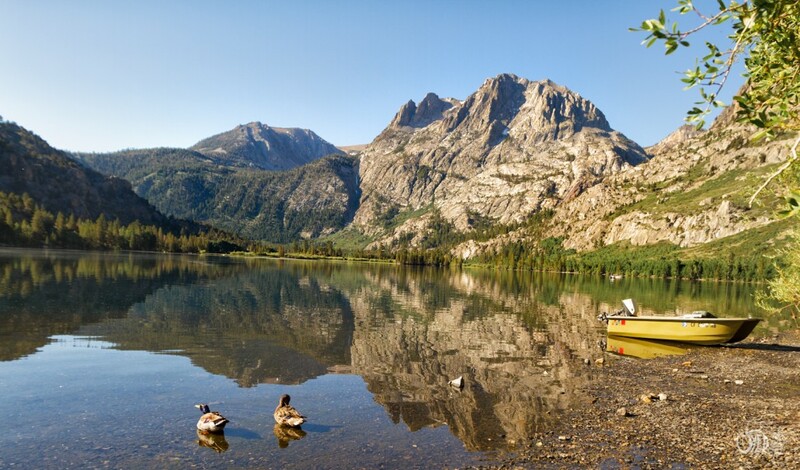 I camped at Silver Lake which is about 12 miles away from South Tufa. Loved the place, it’s beautiful and offers basic amenities like washroom, etc. It’s always a good idea to carry some additional gear that’ll keep you warm in cold conditions if need be. I always carry my Marmot 15 degree down with me, so when the temperature dropped to 35 the night I was camping there, it was nice and toasty in my sleeping bag. If you are not carrying a GPS and following physical maps to get to this place, please check-up on road conditions, stretches like Tioga Pass Rd might have chain restrictions in effect or may be closed depending up on the weather conditions. Travel:First and foremost, if you are renting a car, AWD with high clearance is highly recommended as you will drive through stretches of roads that’ll reach as high as 10,000 – 11,000 ft. above sea level. Start early if you can, especially if you are travelling from as far as 250-300 miles and take ample breaks in between, so you are not tired when you get to the destination. 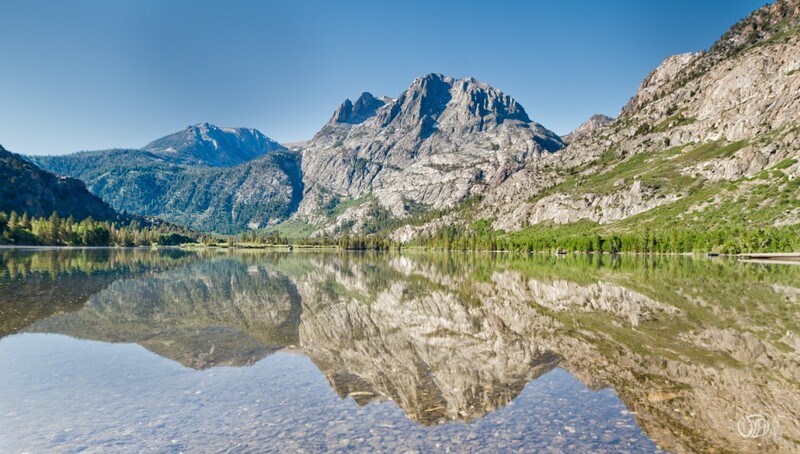 Drive gets really scenic once you hit Hwy 120 and get on Big Oak Flat Rd, so don’t be in the rush to get to Mono Lake, stop and enjoy the nature, take a few pictures, you’ll love it! 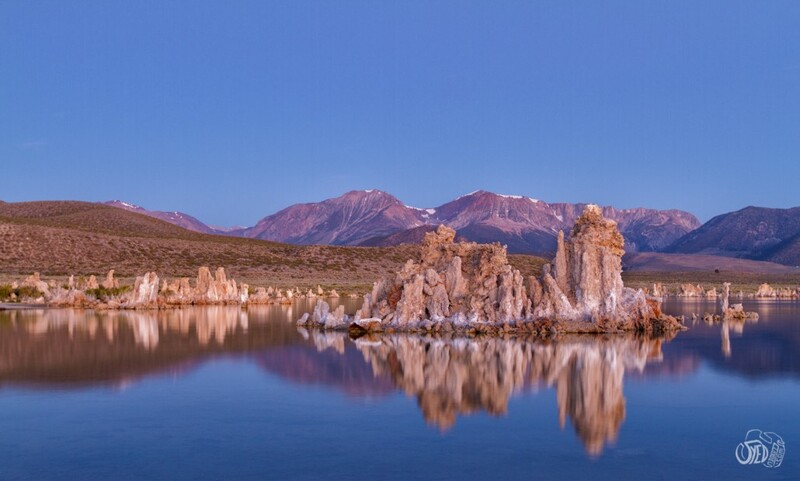 We started at about 10am on Saturday and reached South Tufa at 5:30pm after making the stops, including stops for lunch and camping permits at the Mono Lake visitor center. 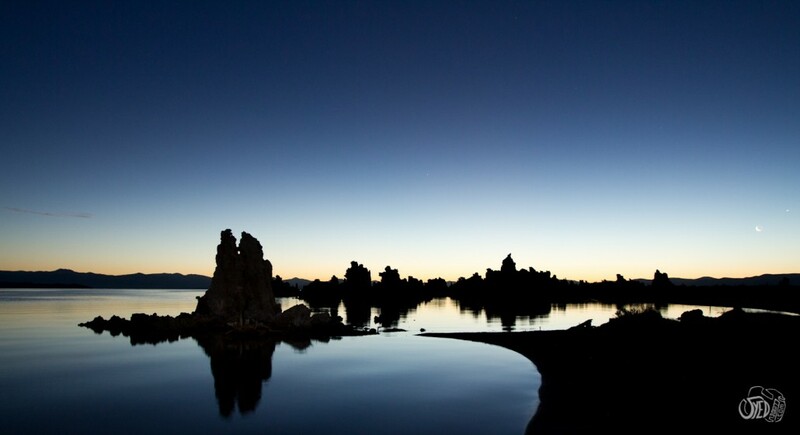 Once you get your camping permits, drive to South Tufa which is where the magic happens. It’s about 5-7 miles away from the visitor’s center. Shoot:As it is a small place, I’d say depending upon what you want to shoot, 2-3 hours is good enough time to scout and pick a spot for shooting in time for sunset. Let me tell you right of the back, this was one of the top 2 sunsets I’ve ever witnessed, and the other one was at Grand Canyon. 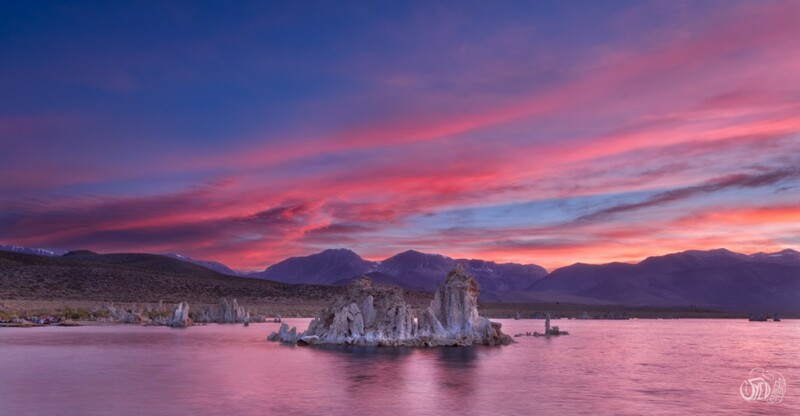 Amazing colors in the sky, beautiful Tufa’s with snow-top mountains in the background, couldn’t have wished for a more beautiful landscape. I mostly shot with a Cannon EF 16-35mm f/2.8, maybe just one or two shots with the Canon EF 70-200mm f/2.8 and often used Singh Ray GND filters to shoot the sunset and other shots. 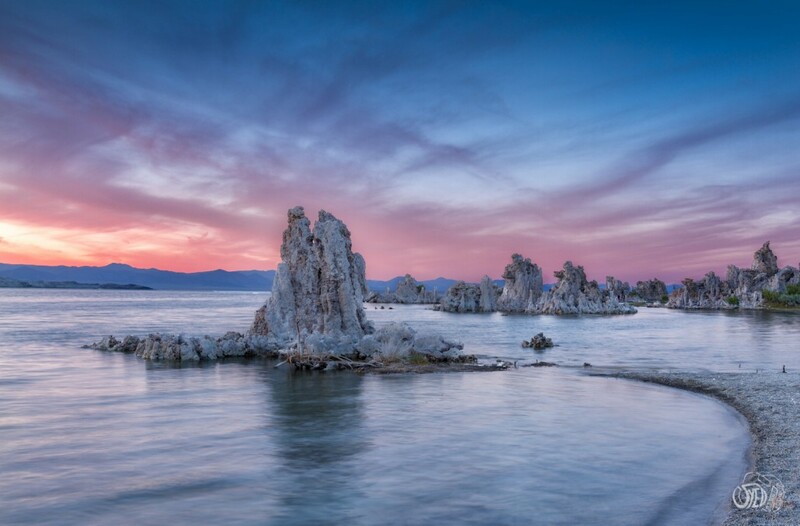 Also in case you are setting your tripod up in the water, make sure you wash it with bottled water or fresh water because water in Mono Lake is 2.5 times saltier than your regular sea water and can cause damage to your tripod over a period of time. If you are planning on creating an HDR image then there is no point shooting with GND filters on, because as you know filters reduce exposure in certain parts of the image which can be an issue when you are merging sever different exposures to make your final image. If you are planning on shooting startrails, 3:00 am is definitely not early enough, get there much ahead of time I’d say maybe around 11:00 pm -12:00 am. This will give you enough time to not only find your way through the dark and find a spot for shooting but also for experimenting with exposures, etc.. I got back at the lake at 3:00am and by the time chose a spot and setup my camera it was too late. Sun wasn’t out but the sky wasn’t as dark as it would be around midnight. I plan to go back here in the winter to photograph this place in snow. That should be cool! Hope this was helpful, EnJoY!